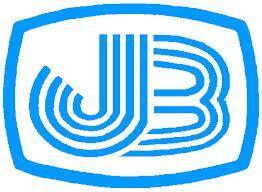 Janata Bank Limited is the 2nd largest state owned commercial bank in Bangladesh. Immediately after the emergence of Bangladesh in 1971, the erstwhile United Bank Limited and Union Bank Limited were named as Janata Bank. It was established under the Bangladesh Bank order 1972. During the privatization process it was incorporated as a public Limited Company on 21, May 07 vide certificate of incorporation No-C66933(4425)07. The Bank has taken the over the business of Janata Bank at a purchase consideration of Tk. 2593.90 million as a going concern through a vendor agreement signed between the Ministry of Finance of the Peoples’ Republic of Bangladesh and the Board of Directors on behalf of Janata Bank Limited on 15th November 2007. Janata Bank Limited operates through 851 branches including 4 overseas branches at United Arab Emirates and a subsidiary company named Janata Exchange Company Srl in Italy. It is linked 1202 foreign correspondents all over the world. To be recognized as the leading commercial bank in the Bangladesh market providing retail and corporate banking services and as a trusted and respected partner in the social and economic development program of our nation. To become effective largest commercial bank in Bangladesh to support socio-economic development of the country and to be a leading bank in South-Asia. Gas bills of Titas, Bakhrabad and Jalalabad Gas Transmission and Distribution Companies. Electricity bills of Dhaka Electricity Supply Authority, Dhaka Electricity Company, Bangladesh Power Development Board and Rural Electrification Board. Telephone bills of Telegraph and Telephone Board. Water/Sewerage bills of Water and Sewerage Authority. Municipal holding tax of City Corporation/ Municipalities. A pilot scheme is underway to provide personalized services to our clients. Payments made on behalf of Govt. Girl Students scholarship/stipend & Primary Student Stipend. As per decision of the govt. 46 (Forty Six) branches of our bank (40 branches in Dhaka city, 1(one) branch in N.gonj city and 5(five) branches in Chittagong city) are involved to receive the all utility bills in a same station from January’04. There are 851 branches of Janata Bank Limited in home and abroad. Among them 443 branches are situated in urban areas including four foreign branches and 408 branches are in rural areas. And all foreign branches are situated in United Arab Emirates. Like every other business organization, the top management makes all the major decisions of Janata Bank. The board of directors being at the highest level of organizational structure plays an important role in policy formulation, but it is not directly concerned with the day-day operations of the bank. They have delegated this duty to the management committee. The board mainly establishes the objectives and policies of the bank. One chairman, eleven directors, one CEO & MD and one company secretary are consist of Board of Directors of Janata Bank Limited. Mid and lower level employees get the direction and instruction from the Board of Directors about the duties and tasks they have to perform. The chief executive provides the guideline to the managers and employees, but delegates responsibility for determining how tasks and goals are to be accomplished. To involve in export activities in a large scale by maintaining good communication with various parties. To collect new members in FY2010 to start export related new business. At least 2 new AD branch will open in FY2010. More facilities will provide to the exporters on the basis of export priority. New Credit Product will start in a large scale by name of BMRE Loan for export project to expand factory, import machineries, purchase transport among exiting parties. To take the competitive position charge, decrease commission and other facilities will continue. To increase export business monitoring system has made stronger in head office and respective branches. To increase export business has appointed sufficient manpower, providing special services and related different training program of officers has been will be started. One of the important businesses carried out by the commercial bank is foreign trading. The trade among various countries falls for close link between the parties dealing in trade. The situation calls for expertise in the field of foreign operations. The bank, which provides such operation, is referred to as rending international banking operation. Mainly transactions with overseas countries in respect of import, export and foreign remittance dealings under the preview of foreign exchange department. International trade demands a flow of goods from seller to buyer and of payment from buyer to seller. In this case the bank plays a vital role to bridge between the buyer and seller. In global business environment, buyers and sellers are often unknown to each other. So seller always seek guarantee of payment for his exported goods. In this situation bank plays an important role. Bank gives export guarantee that it will pay for the goods on behalf of the buyer. This guarantee is called “Letter of Credit” or LC. Thus the contract between importer and exporter is given a legal shape by the banker by its Letter of Credit. The importer after receiving the proforma invoices from the exporter, by applying for the issue of documentary credit, the importer requests his/her bank to make a promise of payment to the supplier. Obviously, the bank will only agree to this request if it can rely on reimbursement by the applicant. As a rule accepted as the sole security for the credit particularly if they are not the shorts of commodity that can be traded on an organized market, such an agreement would involve the bank in excessive risk outside its specialized field. The applicant must therefore have adequate fund in the bank account or a credit line sufficient to cover the required amount. Banks deals with documents and not goods. Once the bank has issued the credit its obligation to pay is conditional on the presentation of the stipulated documents within the prescribed time limit. The applicant cannot prevent a bank from honoring the documents on the grounds that the beneficiary has not delivered goods. The above documents/papers must be completed duly signed and filled by the parties according to the instruction of the concern banker. Whether the goods to be imported is permissible or not. Whether the goods to be imported is demanding or not. Brief specification of commodities, price, quantity, indent no. etc. Whether the confirmation of the credit is requested by the beneficiary or not. The L/C application must be completed/filled in properly and signed by the authorized person of the importer before it is submitted to the issuing bank. There are usually two banks involved in a documentary credit operation. The issuing bank and the 2nd bank, the advising bank, is usually a bank in the seller’s country. The issuing bank asks another bank to advise or confirm the credit. If the 2nd bank is simply “advising the credit”, it will mention that when it forwards the credit to seller, such a bank is under no commitment or obligation to pay the seller. If the advising bank is also “confirming the credit”, this mention that the confirming bank, regardless of any other consideration, must pay accept or negotiate without recourse to seller. Then the bank is called confirming bank also. As soon as the seller/exporter receives the credit and is satisfied that he can meet its terms and conditions, he is in a position to load the goods and dispatch them. The seller then sends the documents evidencing the shipment to the bank. The negotiating bank carefully checks the documents provided by the exporter against the credit, and if the documents meet all the requirement of the credit, the bank will pay, accept, or negotiate in accordance with the terms and conditions of the credit. Then the bank sends the documents to the L/C opening bank. The L/C issuing bank getting the documents checks immediately and if they are in order and meet the credit requirements; it will arrange to make payment against L/C through reimbursement bank and will send the importer the document arrival notice. and Exchange Control & Import Trade Regulation Act.1947. b) Eligibility of the goods to be imported. c) The L/C must not be opened in favor of the importer. d) Radioactivity report in case of food item. f) Carrying vessel is not of Israel. g) Certificate declaring that the item is operation not more than 5 years in case of car. Obtaining Export Registration Certificate ERC: No exporter is allowed to export any commodity for export from Bangladesh unless he is registered with Chief Controller of Imports and Exports (CCI & E) and holds valid Export Registration Certificate (ERC). After applying to the CCI&E in the prescribed from along with the necessary papers, concerned offices of the Chief Controller of Imports and Exports issues ERC. Once registered, exporters are to make renewal of ERC every year. Securing the order: After getting ERC, the exporter may proceed to secure the export order. He can do this by contracting the buyers directly through correspondence. Obtaining EXP: After having the registration, the exporter applies to Janata Bank Limited with the trade license, ERC and the Certificate from the concerned Government Organization to get EXP. If the bank is satisfied, an EXP is issued to the exporter. Signing of the contract: After communicating with buyer the exporter has to get contracted for exporting exportable items from Bangladesh detailing commodity, quantity, price, shipment, insurance and mark, inspection, arbitration etc. Receiving the Letter of Credit: After getting contract for sale, exporter should ask the buyer for Letter of Credit clearly stating terms and conditions of export and payment. Procuring the materials: After making the deal and on having the L/C opened in his favor, the next step for the exporter is to set about the task of procuring or manufacturing the contracted merchandise. Original: Customs authority reports first copy of EXP to Bangladesh Bank after shipment of the goods. Duplicate: Negotiating bank reports the Duplicate to Bangladesh Bank in or after negotiation date but not later than 14 days from the date of shipment. Triplicate: On realization of export proceeds the same bank to the same authority reports Triplicate. Quadruplicate: Finally, the negotiating bank as their office copy retains Quadruplicate. Shipment of goods: Exporter makes shipment according to the terms and condition of L/C. Presentation of export documents for negotiation: After shipment, exporter submits the following documents to Janata bank Limited for negotiation. Examination of Document: Banks deal with documents only, not with commodity. As the negotiating bank is giving the value before repatriation of the export proceeds it is advisable to scrutinize and examine each and every document with great care whether any discrepancy(s) is observed in the documents. The bankers are to ascertain that the documents are strictly as per the terms of L/C Before negotiation of the export bill. Bank officers assigned for examining the export documents may use a checklist for their convenience. Negotiation of export documents: Negotiation stands for payment of value to the exporter against the documents stipulated in the L\C. If documents are in order, Janata Bank Limited purchases (negotiates) the same on the basis of banker- customer relationship. This is known as Foreign Documentary Bill Purchase (FDBP).If the bank is not satisfied with the documents submitted to Janata Bank Limited and gives the exporter reasonable time to remove the discrepancies or sends the documents to L/C opening bank for collection. This is known as Foreign Documentary Bill for Collection (FDBC). Janata Bank Limited officials scrutinize the documents to ensure the conformity with the terms and conditions. The L/C issuing banks gives the acceptance and forwards an acceptance letter. Import means purchase of goods or services from abroad. Normally consumers, firms and Government organizations import foreign goods or services to meet their various necessities. Main import items are food item, edible oil, fertilizer, petroleum, machineries, chemicals, raw materials of industry, cement clinkers etc. So, in brief, we can say that import is the flow of goods and services purchased by local agent staying in the country from foreign agent staying abroad. Authorized Dealer, banks are always committed to facilitate import of different goods into Bangladesh from the foreign countries. Import Section, which is under Foreign Exchange Department of a bank, is assigned to perform this job. And to serve its parties demand to import goods, it always maintains required formalities that are collectively termed as “Import Procedure”. Up to date Trade License. In case of company, Memorandum & Articles of Association and Certificate of Incorporation. iii) When the importer accepts the Proforma Invoice, he/she makes a purchase contract with the exporter detailing the terms and conditions of the import. iv) After making the purchase contract, importer settles the means of payment with the seller. An import procedure differs with different means of payment. The possible means are Cash in Advance, Open Account, Collection Method and Documentary Letter of Credit. In most cases, the Documentary Letter of Credit in our country makes import payment. Purchase Contract contains which payment procedure has to be applied. Cash in advance: Importer pays full, partial or progressive payment by a foreign DD, MT or TT. After receiving payment, exporter will send the goods and the transport receipt to the importer. Importer will take delivery of the goods from the transport company. Open Account: Exporter ships the goods and sends transport receipt to the importer. Importer will take delivery of the goods and makes payment by foreign DD, MT, or TT at some specified date. Collection Method: Collection methods are either clean collection or documentary collection. Again, Documentary Collection may be Document against Payment (D/P) or Document against Acceptance (D/A). The collection procedure is that the exporter ships the goods and draws a draft/ bill on the buyer. The exporter submits the draft/bill (only or with documents) to the remitting bank for collection and the bank acknowledges this. Then the remitting bank sends the draft/bill (with or without documents) and a collection instruction letter to the collecting bank. Acting as an agent of the remitting bank, the collecting bank notifies the importer upon receipt of the draft. The title of goods is released to the importer upon full payment or acceptance of the draft/bill. Letter of credit: Letter of credit is the well-accepted and most commonly used means of payment. It is an undertaking for payment by the issuing bank to the beneficiary, upon submission of some stipulated documents and fulfilling the terms and conditions mentioned in the letter of credit.